Virtual reality for the classroom, formative assessment tools, and innovative ecosystems to support eSports and STEM learning in schools – these are some of the topics I’m looking forward to exploring next week at ISTE 2018 in Chicago. The keynote speakers will reveal new human interfaces — such as the sensory vest — to take in previously hidden information; and describe how to build bridges to brilliance, even in underserved and unstable neighborhoods. Sign up for a demo tour and you’ll get a $10 Amazon.com gift card when you visit the booth. 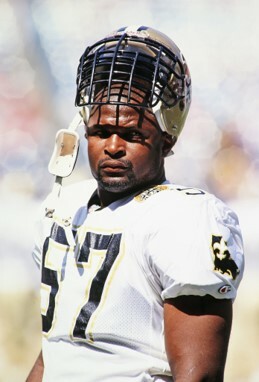 Come see Rickey Jackson, former linebacker for the New Orleans Saints and San Francisco 49ers, and Pro Football Hall of Famer. He’ll be at the Extreme Networks booth on Tuesday, June 26th from 10:30am-12:30pm signing footballs and having his photo taken with attendees. Can’t make it to Chicago? Stay tuned to our blogs and make sure you are signed up for our K-12 Connected Classroom newsletter. Home › Extreme Networks Blog › See You At The Epicenter of EdTech, ISTE 2018!